We’re always interested in hearing about new Cognac products. But occasionally–just occasionally–a product that is not a Cognac sparks our interest. And the latest product by Monteru Brandy is one of those. 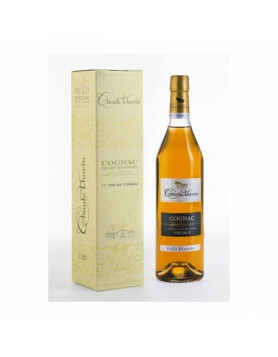 The reason it has caught our attention is that it’s a brandy made in the Cognac region, and there are many parallels in the method in which it’s made to the way in which Cognac is produced. Max saw the product live at Vinexpo 2017. 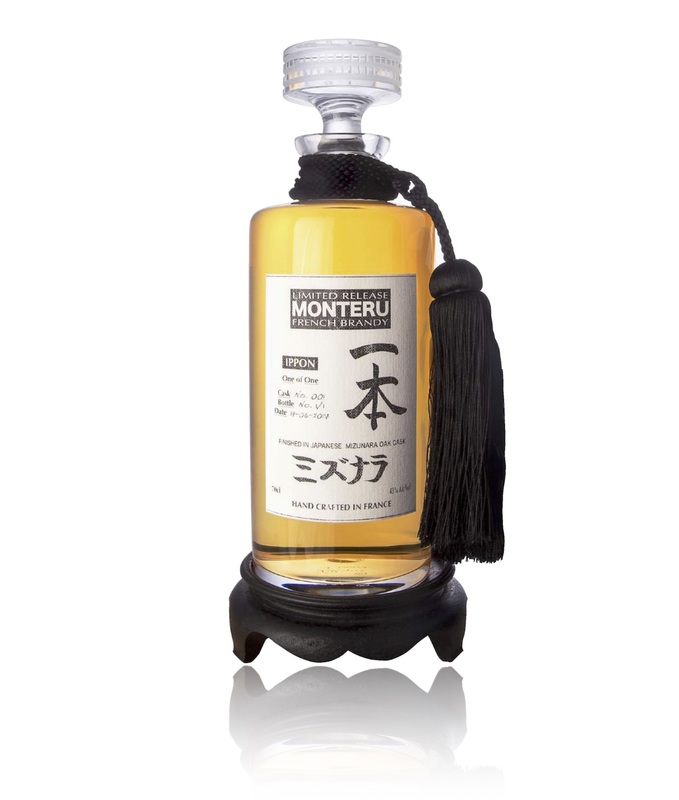 Monteru Brandy Ippon has been created using a single variety of grape (the Folle Blanche) and was aged in Japanese Mizunara Oak casks. This oak is most associated with the production of high-end Japanese whiskies, but this is the first time it’s been used to age such a brandy. The name, Ippon, is Japanese for ‘one piece’ and ‘a perfect full point’–it’s also the highest score that a fighter can achieve in the martial art of Judo. As far as we know, Monteru Ippon is not a Cognac. The press release says it “may” be a Cognac but is marketed as a French Brandy. There are many hoops to jump through for a brandy to be called a Cognac. And, if you look at the age of the grapes, being that 10% of them are from 2014, this would (if it were a Cognac) be of a VS quality–the youngest there is. Learn more about the aging process of Cognac here. 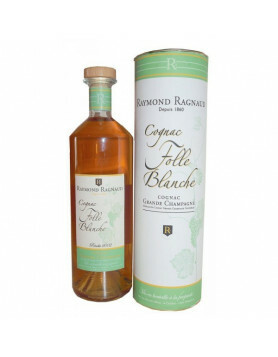 The eau-de-vie that is used to create Ippon is from a single variety, the Folle Blanche grape. 90% of this is from the harvest of 2012, and 10% from 2014. Now, what we don’t know is where these grapes were grown, and whether or not they were even grown in the Cognac region. 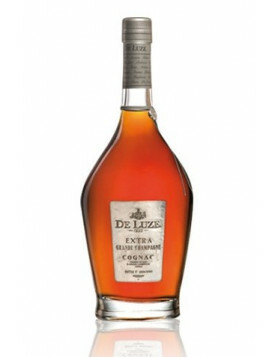 But to be fair, this product is not pretending to be a Cognac–remember, it’s labeled as a brandy. The spirit has been double distilled and aged in brand new Japanese Mizunara oak barrels that were hand crafted in Japan. 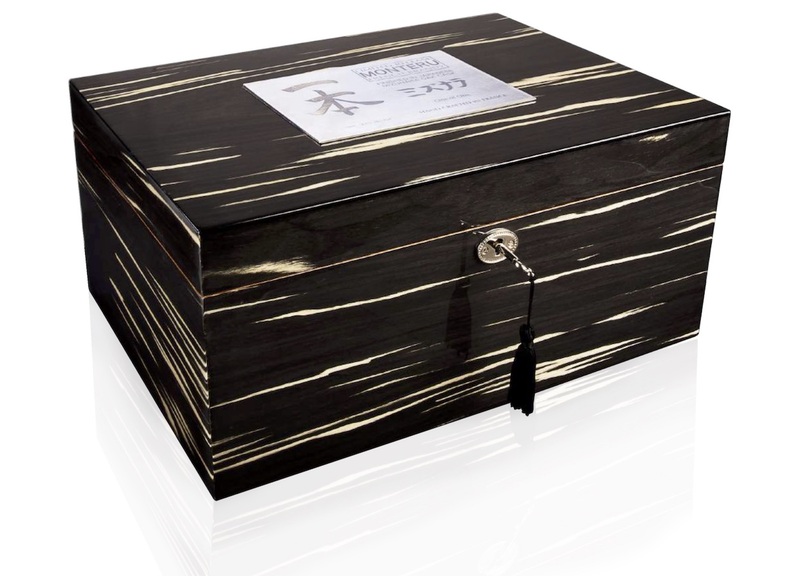 This is the first time a French spirit has been aged in this kind of wood, and only the third time anything but a Japanese whisky has been aged in Mizunara. The estate of Monteru has an interesting story. With origins back to the late 1700s, this is a house that has centuries of brandy-making knowledge and tradition. Located in Pons (which is in the Borderies terroir of Cognac), the house has its own vineyards and aging cellars. It would seem that they have everything going for them to produce ‘true’ Cognac, but instead they choose to make what they call ‘Single Grape Brandy’. They’re doing it very successfully, having won a number of recognitions for brandies finished in American oak, Sauternes barrels, and sherry casks. 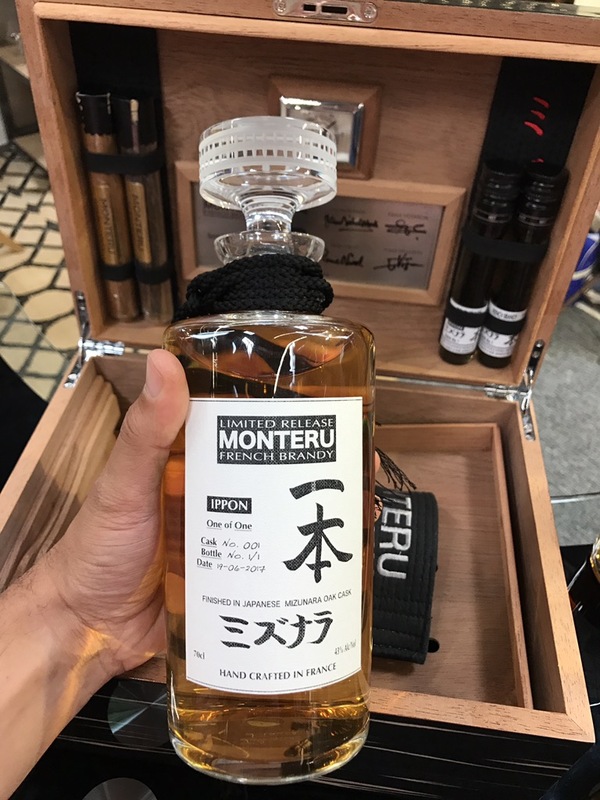 Monteru Brandy Ippon was released in 2017, as the world’s first brandy to be aged in Mizunara oak casks. Right now, it is very exclusive as only a single bottle has been created. This has been named the ‘One of One’. It’s presented in a contemporary black bottle with a label that states the cask number, bottle number, and date of bottling. 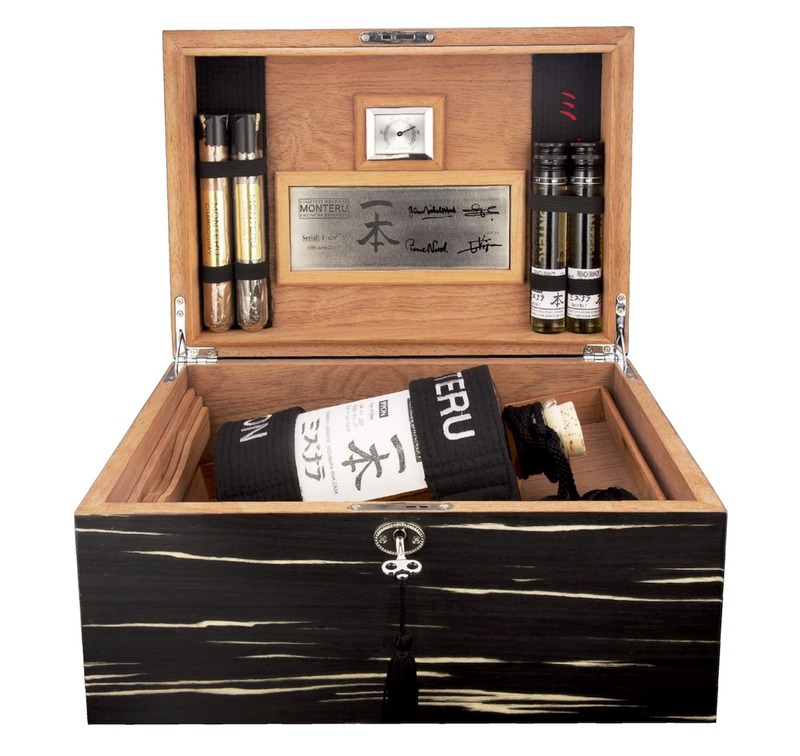 The bottle lies in a lockable presentation case–we assume (but don’t know for sure) that this case is made of Mizunara oak as well. Intended to be a collector’s piece, a further 10 bottles of Monteru Brandy Ippon are to be released in Fall 2017. We’ve not had the chance to try it yet…but we like the boldness of the project, it’s innovative and not afraid to shake up the Cognac legacy a little. Congrats to the creative minds behind Monteru Ippon! What is Cognac?… Some facts and a great video!